Hacienda Tres Ríos Resort, Spa & Nature Park in the Riviera Maya has received the 2014 TripAdvisor Travellers’ Choice award. We are proud to receive this honor as it is awarded based on the comments and opinions of our guests. 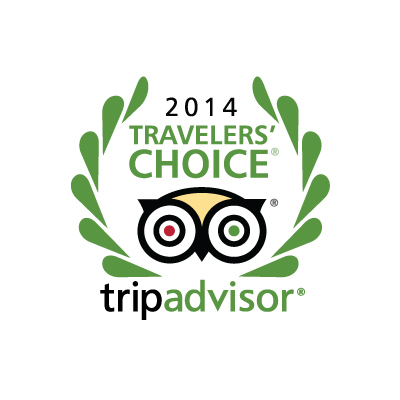 TripAdvisor is the world’s largest travel website with over 125 million travel reviews and opinions. The site receives more than 80 new contributions per minute. The sites operate in 34 countries and 21 languages. We want to thank our guests for sharing their Hacienda Tres Rios experiences on TripAdvisor. You can write a TripAdvisor review of Hacienda Tres Rios here.